A 1984 ad for Trivial Pursuit. The initial release of the Genus Edition in 1981 was followed by a series of subsidiary card sets, including the Baby Boomer Edition, Young Players Edition, and the Silver Screen Edition. 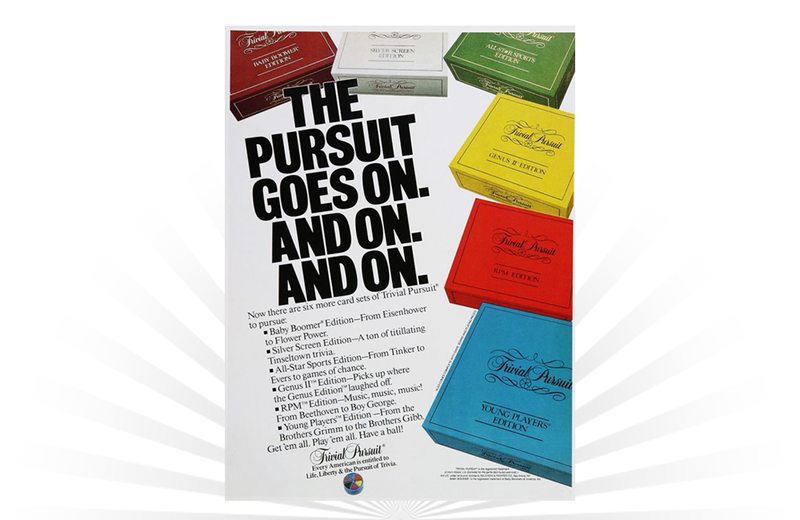 Read more about the history of Trivial Pursuit here. A 1979 ad for View-Master Gift Paks. Gift Paks were packaged in branded canisters and included a View-Master Viewer and seven full-color 3-D reels, 49 scenes in all.